By completing your Pressure System Inspection, CTM Europe can help your company legally comply with PSSR (2000). We can help reduce your pressure system’s energy and running costs. CTM Europe can provide you with full compliance by completing a thorough examination under your Written Scheme of Examination. If you don’t have a Written Scheme of Examination we can write one for you or update it if need be. For free advice, more information, or a no obligation quote on your Pressure System Inspection, call David Mitchell on 02920 454515. Should my company have a Pressure System Inspection? 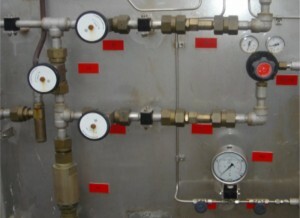 The Pressure Systems Safety Regulations (2000) came into force on 21 February that year. As a User and/or Owner of a pressure system, you are required to demonstrate that you know the safe operating limits of your pressure systems, and that your system is safe under those conditions. You need to ensure that a suitable Written Scheme of Examination is in place before the system is operated. And finally, you also need to ensure that the pressure system is examined in accordance with the Written Scheme of Examination. In conclusion, PSSR (2000) applies to the owners and users of systems with gases or fluids under pressure over 0.5bar, and/or which becomes a gas when released to the atmosphere. Why should I choose CTM Europe to complete my Pressure System Inspection?